Today we held the drawing for the Preparedness Pro Food Challenge. Thanks to everyone who participated in the blog comments. Kudos to those who actually participated in the challenge as well! We tested this. It works REALLY well. I’m thinking I want a bunch more in my preparedness supplies! Create a fire under just about any circumstances, in a jiffy! Prize #3: Morning Moo’s Dry Milk Alternative-Orange Cream Flavor—Winner: Becka! Retail Value $5.50. This tastes like a Dreamsicle. It’s one of my favorites and kids will love it as well. This is the kind that I use, so enjoy it! Remember, it’s reusable as well, so when you take it off of a cheese, just wash it like you would dishes, and then reuse. Ok. I have to admit this is the 2nd Best prize in my opinion. I’m totally addicted to Spiff-E-Whip! It’s great as a mousse, frosting, glaze, pudding, pie filling, etc. So easy to use. Just add water and whip it up! This is invaluable to have. I make syrups and jams with this. I also use this as a substitute for eggs, cornstarch, and any other thickening agent. This is good to use in hot or cold dishes. Lots of great recipe ideas that you can use directly from your pantry. I’ve tested several of these recipes with thumbs up approval! One of my all-time favorite “preparedness” novels. Written by a man who definitely had the inside track to what was really going on in the international circles, this is truly an eye opener. This book is a classic! It shows you how you can survive deliciously on a mere 4 food storage items—wheat, powdered milk, honey and salt. The author was definitely ahead of her time when she wrote this one. I had to really search to find a quality copy to award in this contest! I couldn’t believe how often this particular kit comes in handy! It binds to the toxins and allows them to be washed away, and then it creates a barrier for the medicine so that it can stay on the skin. When you’re out of your element, this is a keeper! Obviously, this is the BEST prize of all. Prepare to fill out a questionnaire so that I can really help you on this call!!! Congratulations to all of the winners! Please e-mail us at sarah at preparednesspro dot com to give us your mailing address so that we can get these out to you! What You Need to Know About the Likelihood of an EMP Attack on the U.S. I recently finished reading two GREAT books, back to back, that are fictional scenarios about an EMP (electro magnetic pulse) attack on the U.S. Both books are very well written, extremely realistic, and I had a hard time putting them down. The first one (still my all time favorite) was “Alas, Babylon” by Pat Frank. The second, as recommended by many readers on this site was “One Second After” by William R. Forstchen. (Warning, occasional language in this book qualifies it as “rated PG-13”) Both authors are so expert in their fields of knowledge on the matters which they write, that I feel the books are more a prediction of things to come, rather than a work of fiction. Out of all of the possible scenarios of a man-made crisis, the most likely to occur against the U.S. is an EMP attack. However, what disturbed me so greatly is the majority of the pain and suffering in either of the books could have been substantially negated with the addition of a very legitimate reality in my world—a years supply of emergency food, water, and other items. For those of you who may not be aware, the U.S. has received countless amounts of intelligence that an EMP attack is very likely. (Google EMP attack + U.S.) More recently, China has even admitted to preparing an EMP to “use on its enemies.” It’s no surprise that N. Korea has been playing with nukes lately. And contrary to the naïve understanding of many Americans, the Soviets have also been dedicating a great deal of their resources towards the perfection of nuclear attacks. In all actuality, an EMP attack could be done in such a way that we wouldn’t necessarily have any way of knowing WHO launched the attack against us (as accurately portrayed in Forstchen’s book). About 8 years ago an officially commissioned report was released about the potential catastrophic consequences of an EMP attack over the U.S. Newt Gingrich specifically stated in response to this report, “this is not idle speculation but taken from the consensus finding of nine distinguished American scientists who authored the “Report of the Commission to Assess the Threat to the United States from Electromagnetic Pulse Attack.” Unfortunately, since the report was issued on the very same day as the 9/11 Commissions Report, it went largely unheeded and unnoticed by the press. An EMP attack is implemented by launching a nuclear bomb high in the earth’s atmosphere (greater than 25 miles). The detonation causes gamma rays to interact with air molecules to produce positive ions while at the same time recoiling electrons. What ultimately happens is that the positive ions overtake the electrons and as such, when they encounter the earth’s magnetic field it radiates an instantaneous electromagnetic pulse. The pulse essentially fries all electrical devices, including batteries. This same kind of reaction is possible with small solar flares. The pulse is intense but it is not visible and it does no damage to the human body. One of these EMP strikes strategically launched over Kansas could obliterate electrical operations throughout the entire U.S. So why is an EMP attack more viable than an all out war or a nuclear bomb attack? Well it boils down to dollars and conquering. Why spends billions of dollars and countless lives on fighting an all out war when you can launch an EMP attack, wait it out for several months, and then come in and clean up the few that survived? For only a few thousand dollars each, 3 SCUD missiles can be launched off of a ship in the middle of the waters off of our coast, high up into the atmosphere. It’s not like we’d see “incoming SCUDs”. If we’re lucky we’ll simply see something launched into space. Several billions of dollars can be saved for any enemy when such a strategy is used. With this strategy countless numbers of soldiers, death camps, and an arsenal of bullets is not necessary. Human nature and our reliance on Prozac and technology will easily kill off the weak in a matter of days. Additionally, while the land of the U.S. is rich in resources, access to those resources is impeded if there is no population to harvest them. So using an EMP attack vs. something more deadly that would contaminate the very land an enemy wishes to possess is not in their best strategic interest either. Considering that an EMP attack would make us helpless to communicate or travel effectively, all an enemy has to do is wipe out our electricity, wait several months, and watch how the effects of such an attack kill off the weak, weaken the spirits of the strong, and then come and clean up what’s left. Bottom line, it’s less expensive and less messy for our nation’s enemies to use an EMP attack on us than anything else. Mother Nature and the ugly side of human nature is the ally of our enemy and will work in concert successfully with such an attack. The key to any successful attack is knowing your enemy’s vulnerability. Clearly, technology is our Achilles heel here in the U.S. and it would take very little money and effort to wipe us out. So, what does all of this mean to you? It means that you need to begin seeing your world differently—NOW. While I will be writing a multi-part series on an EMP attack to shed some light on various aspects of your survival, it’s important that you begin NOW to look around you and be aware. What do you currently rely on that is operated by electricity that you would have NO ability to use after an EMP? Cooking. Driving. Medical? Communications? Whatever the answer is you need to prepare yourself mentally and physically to battle such instances. Some scenarios may be trivial ones of inconvenience. Yet some may be life or death—all because the power goes out indefinitely. EMP 101: Part I–The Likelihood. EMP 101: Part II–The Aftermath. EMP 101: Part III–Prepare Medically. EMP 101: Part IV–Faraday Cages. A new book has been released illustrating with surprisingly reality and extensive details what would happen to America in the event of an EMP attack (Electric Magnetic Pulse). The book is “One Second After” by New York Times best-selling author William R. Forstchen, who talked about the possible impact of such an attack on the Sean Hannity Radio Show today. I’m also quite partial to a book by Pat Frank, “Alas, Babylon” that was wildly popular in the 1950’s which explores a similar situation and the necessary results of human beings having to get back to basics and innovation. For those of you who don’t know, such an attack is very possible and would paralyze our world as we know it. It would cause a financial, social, medical, and technical chaos as you’ve never seen previously. And it would certainly put us all in a true survival mode. Your world without electricity is much more restrictive than you can imagine. But with a little preparedness now, you’ll be just fine. All you have to do is simply learn how to harness the unfailing power of the sun. Even in the winter, sun powered items will prove to be a boon to your comfort. 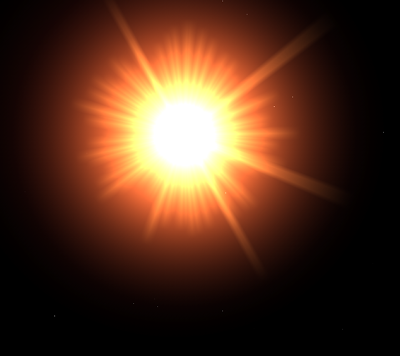 Additionally, using the sun in as many instances as possible will enable you to conserve your other fuels such as kerosene, wood, and propane for other purposes. I also love my solar powered battery recharger. I had no idea how much I used batteries until I tried to put myself on a battery buying hiatus and started using my stored up amount. I was so disappointed in how many countless batteries I had in my storage that didn’t work any longer. Rechargeable batteries are clearly the answer, but not when you don’t have any electricity. Duh for me! Now, I’ve invested my money in the rechargeable batteries and a great solar powered battery recharger. You can even find one that will recharge your laptop battery! Solar powered outdoor lamps are a good idea as well. I believe that they will provide some semblance of security for my home as I ride out the ensuing chaos in the event of an EMP attack or like magnitude. Obviously there are some significant alterations you can make to your home at present by adding in solar panels for electricity. (It’s safer and more practical than using a gas-powered generator, folks.) With technology like this you don’t necessarily need to go without a hot shower. This doesn’t need to be an expensive, new-fangled kind of solution. For less than $350 you can make your own solar powered generator! There are also solar powered lights, radios, and cell-phone chargers. Also a mere 15 minutes of sun daily can provide you with an entire day’s worth of Vitamin D. Now that’s some lifesaving solar power! There are far too many options on the types of solar products for me to give you a run down of a specific brands and costs. I recommend that you do a search on “solar powered + emergency” on the internet. Just take it one step at a time, but it would indeed be wise to take such steps. And read “Alas, Babylon.” I really think you’ll like it! Preparedness Pro Note: If you would like Kellene Bishop to present an Emergency Preparedness message for your community or church group, please contact us at 801-788-4133. Ms. Bishop is an experienced speaker and demonstrator on Emergency Preparedness topics and also has created a great “Preparedness Party” platform which makes the learning of such a topic more enjoyable for all.